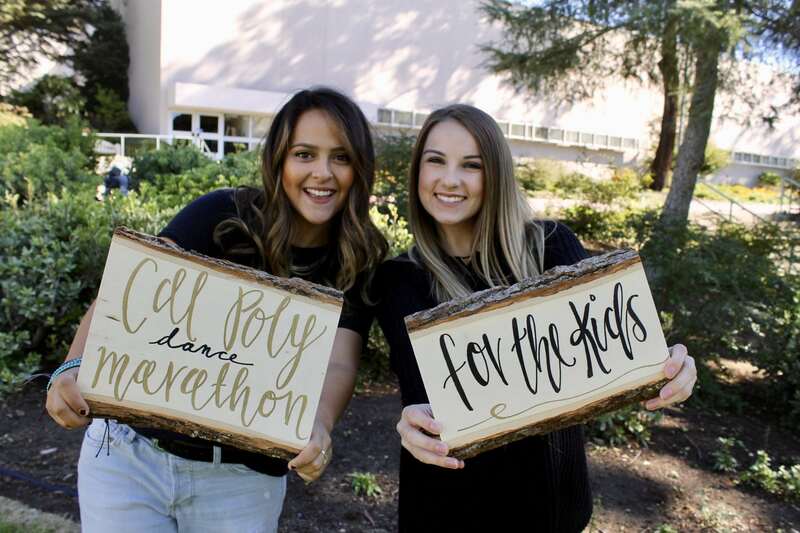 Dance Marathon Involvement: I helped plan the inaugural Cal Poly Dance Marathon in 2017 as a founder of the organization and have served as the Executive Director for the past two years. Post-Graduation Plans: After graduation, I will be pursuing my Certified Public Accountant licensure and begin working in the public accounting industry as an Audit Associate for Armanino LLP in the Bay Area. 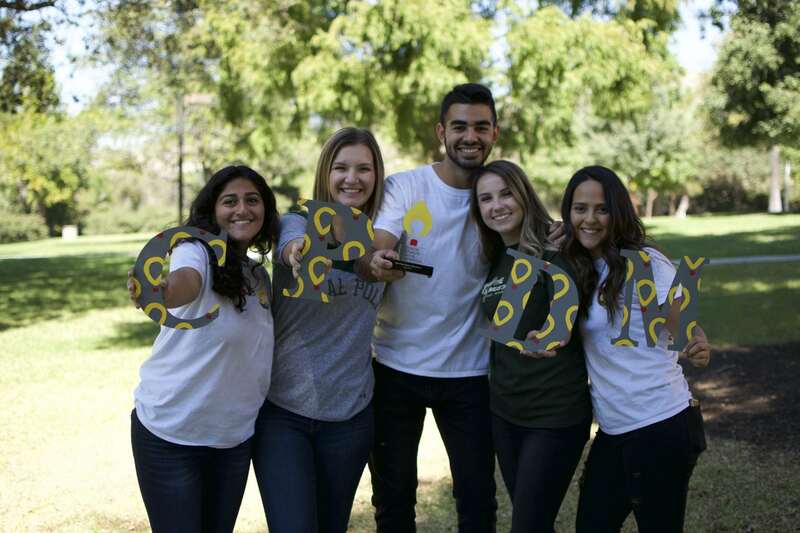 Haley and the founding members of Cal Poly Dance Marathon. By far, I am most proud of my decision to take the leap of faith to start Cal Poly Dance Marathon. 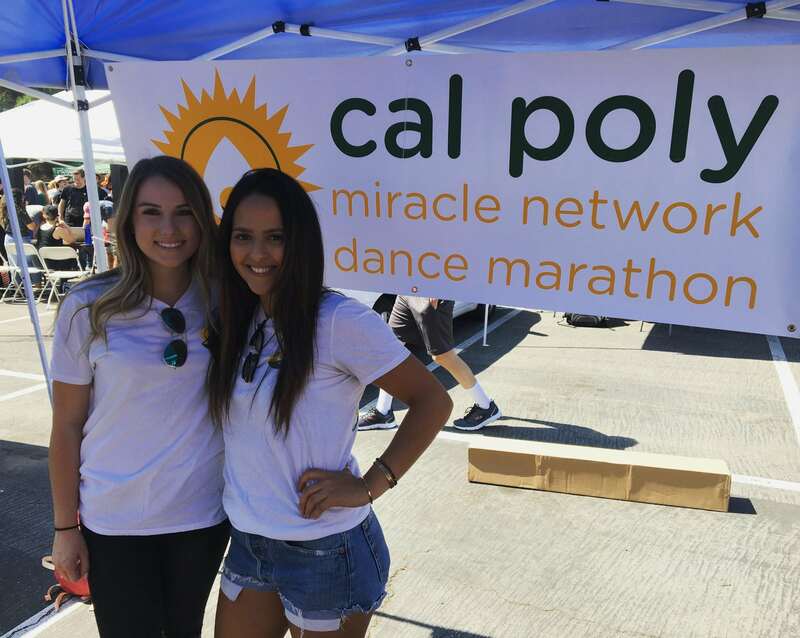 After a friend from another school in California wrote me down as a contact for Cal Poly, a Dance Marathon manager reached out to me the following week about starting a program. There was not a bone in my body that thought about turning down this opportunity for our campus and our soon to be Miracle kids. I believed in the potential Cal Poly had to greatly impact our local hospital. I reached out to a handful of my most passionate colleagues in Student Government and asked them to join me in starting this movement on our campus. By the beginning of my junior year, our leadership team had grown to 25 students passionate about serving the kids at Cottage Children’s Medical Center and positively impacting our campus community. In our inaugural year, we had many successes: raising over $4,000 on our first fundraising push day, recruiting over 650 students to register for our first event, and raising over $36,000 in our first year. These successes came with many trials and lessons learned that only prepared us to conquer another successful year. Without the knowledge and skills of myself and team members involved in ASI, it would have been extremely difficult to navigate the programming and event policies on our campus. Despite the campus push back at times, I made it a priority to build a foundation and take the proper steps through the university to ensure the longevity of Cal Poly’s program. I could not have accomplished any of what I have in last two years without my two amazing teams. 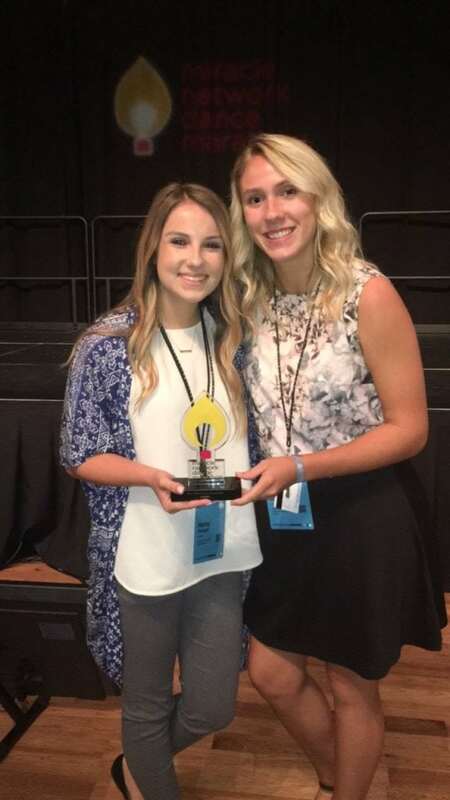 Their passion, determination and hard work made our program raise over $9,000 in 72 hours, nearly double participants with over 1,000 students registered and more than double our fundraising total with over $65,000 raised in our second year. I take great pride in the growth of these leaders and their impact on our campus over the last two years. Outside of my decision to start this movement, my team members are my greatest accomplishment. 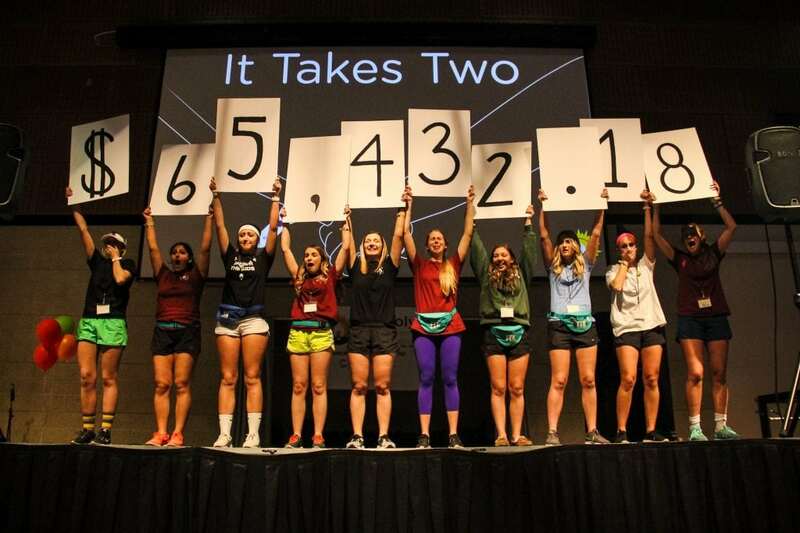 Cal Poly Dance Marathon’s 2018 fundraising total reveal. Dance Marathon has absolutely changed my life. I grew up in a strong community where giving back was part of our daily lives. That sense of philanthropy and community was missing when I came to Cal Poly. I quickly realized philanthropy was only something within the Greek Life community, which I had decided not to participate in. I found my community and fueled my passion for leadership and giving back through ASI Student Government, until Dance Marathon came along. Student Government developed my leadership and interpersonal skills tremendously, which equipped my success in starting Dance Marathon. However, in Student Government, I always had someone to answer to and was never the final say for decisions. When transitioning to Dance Marathon, everyone looked to me for answers, the right one at that, and constant guidance to the next step. I quickly learned how to navigate the stress of this responsibility and ensure I was delegating and empowering my team members to grow and learn to make decisions on their own. I strengthened my skills in communication, time management, and people management. I learned how much fear, stress and negativity can paralyze a team and how much passion, energy and positivity can motivate a team. During my two years as Executive Director, I feared failure more than I ever had in my life, but I knew, and my team knew every child at Cottage was worth fighting for and we were not going to fail them. There is no way to measure the growth and impact Dance Marathon has had on my life; it is by far the best decision I have ever made. 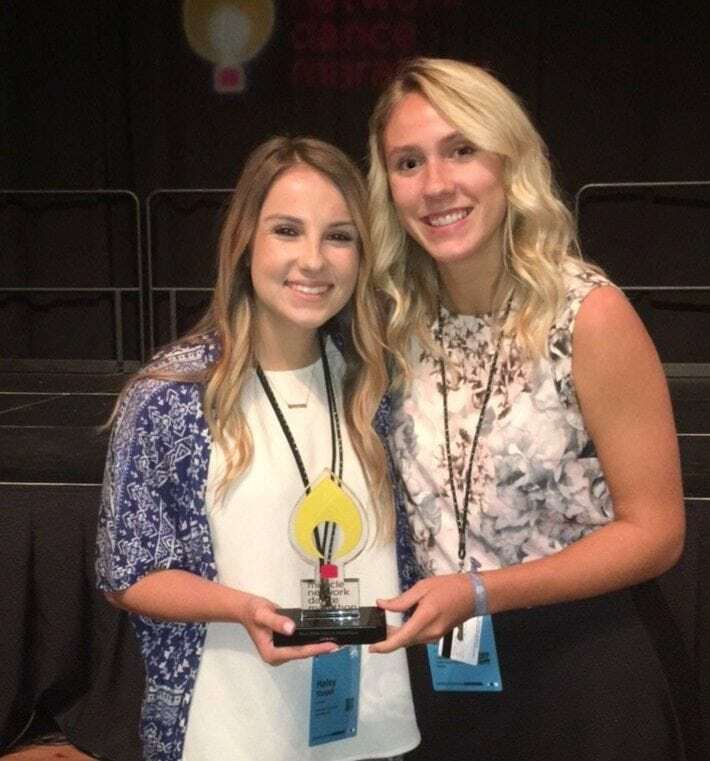 Haley receiving the “Best New Dance Marathon” award on behalf of Cal Poly Dance Marathon at the national Dance Marathon Leadership Conference in 2017. I have never been treated at a CMN Hospital, or any hospital for that matter. I grew up without ever having to worry about my health. I worried about playing outside with my friends, getting cooties from boys, who was going to ask me to prom and what college I was going to attend. I want to give as many kids as possible the opportunity to have those be their biggest worries growing up. Dance Marathon is more than just me being able to contribute to a cause I am passionate about, it is about sharing that cause with your campus and building a community of students who are dedicated to fighting for our next generation. It is an opportunity to instill philanthropic mindsets in our current generation and educate them on the realities of healthcare funding and the shocking numbers of babies and children being treated daily by our hospitals. I participate because it a movement that builds communities of students that are changing and saving lives. Dance Marathon is a one of a kind experience. Students don’t know the accuracy of that statement until they hear a Miracle story from the Miracle child themselves, until they see the child’s parents choke back tears as they thank our students for their dedication, until they stand all night long, and until they experience the reveal of thousands, hundreds of thousands, and millions of dollars raised for children at their local hospital. Students get the opportunity to see where their money is going and impact it is making on so many lives. As a bonus, you get to build friendships with hundreds of other students who care about our future generation and maybe meet a fellow peer who has had the same hospital experience as you or one of your loved ones. It is a place of community, fun and support. Every student who joins diversifies the success and potential of their program. Haley tabling at Freshmen Orientation to recruit new students for Cal Poly Dance Marathon. There are 62 children that enter a CMN Hospital every minute. Since insurance does not cover all costs, hospitals rely on donations from people and businesses to support the care of the millions of children treated each year. These families receiving care and support never expected to be in the position they are in with a child requiring regular treatment or fighting for their life from the moment they were born. No one expects or wants it to happen to them, but it could easily have been us or could be us one day. If I was spending my days and nights sleeping next to my child in a hospital bed, I would be so incredibly grateful to every person who spared what they could to help my child receive the best treatment and best chance at life possible. Every single contribution makes a difference and there is never a penny wasted on child’s life.